Our Monthly Calendar – Temple De Hirsch Sinai. Want to learn more about the variety of Shabbat services we offer? Click here to view our service descriptions! 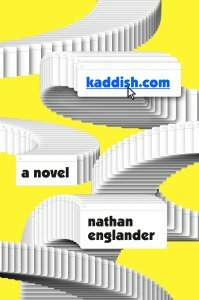 Nathan Englander, the celebrated Pulitzer finalist and prize-winning author of Dinner at the Center of the Earth and What We Talk About When We Talk About Anne Frank, delivers his best work yet, a streamlined comic masterpiece about a son’s failure to say Kaddish for his father. Tonight he appears in conversation with Rabbi Daniel Weiner, Senior Rabbi at Temple De Hirsch Sinai. Free. No tickets are necessary. This evening’s event includes book sales and a book signing. It is impossible to make it through life without confronting illness or injury, be it our own or that of a loved one, and for each of us, healing looks different. From chronic pain, to short-term injuries, from the suffering that is visible to that which is not, from wrestling with illnesses for which there are no cures, to acting as caregivers for loved ones, Judaism can offer a supportive context in which to find wholeness along the way. Whether you are in need of physical, emotional or spiritual healing, we invite you to explore the role of music and prayer in moving towards healing and wholeness. Join Temple’s rabbis on Sunday mornings at our Seattle Campus for adult Jewish learning. Two, three, & four-week mini-courses offer timely and relevant knowledge through a Jewish lens and are open to all adults in the Temple community. Begin your morning with school-wide t’filah (prayer service) in the Seattle Sanctuary at 9:30 AM before moving into the chapel for bagels, coffee, and discussion. Click here for more information.